My uncle, Howard Storey, served with the RCOC during WWII. 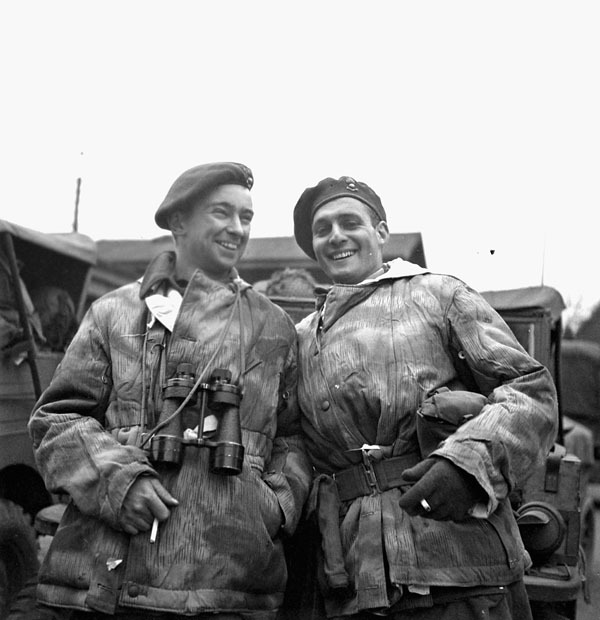 While overseas from 1943 onwards he was with 4th Canadian Armoured Division during the NW Europe Campaign and following the end of hostilities served with the Occupation Force until 1946 when he returned home to Canada. 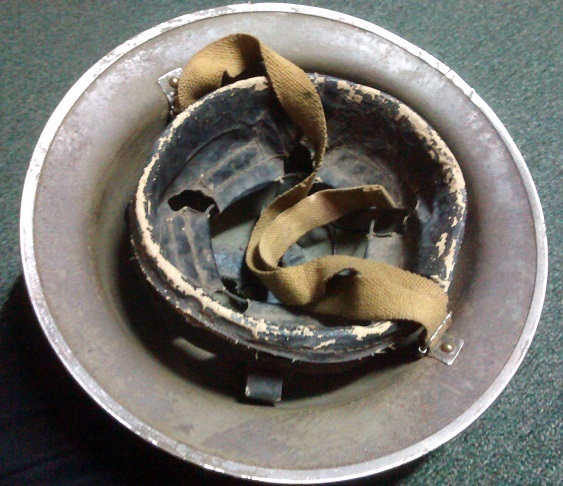 He passed away in late 2012 and I was given most of the military stuff that he had saved, this is one of the webbing waistbelts he brought home. Nice belt Ed. 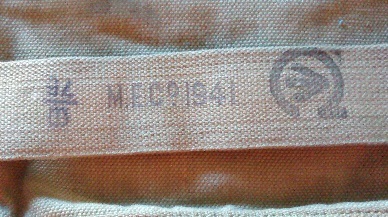 Another example showing that Canadian soldiers were issued with British manufactured webbing equipment during the war. 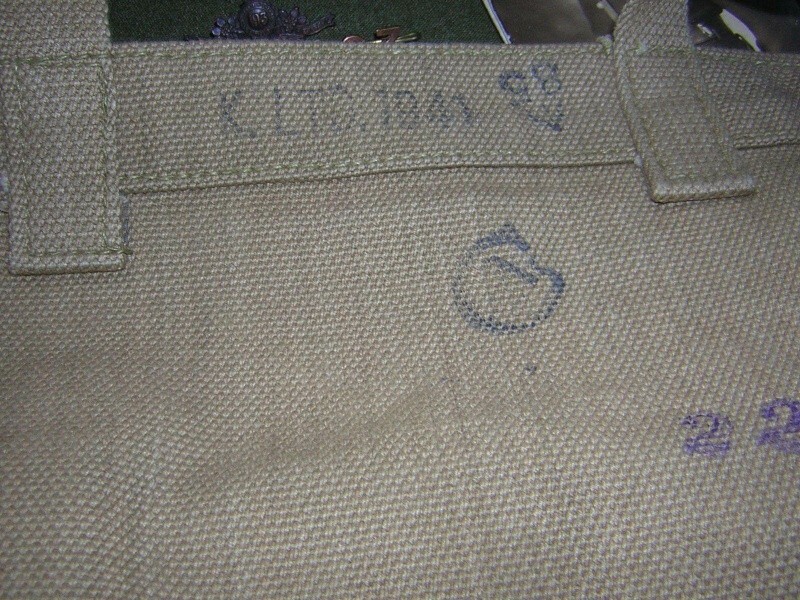 I wonder how many re-enactors get this detail correct? I remember people cutting down some of my British webbing that was given to me directly from the vet. If it didn't have that C Broad arrow, it was absolutely, positively not used by a Canadian....so I've been told. 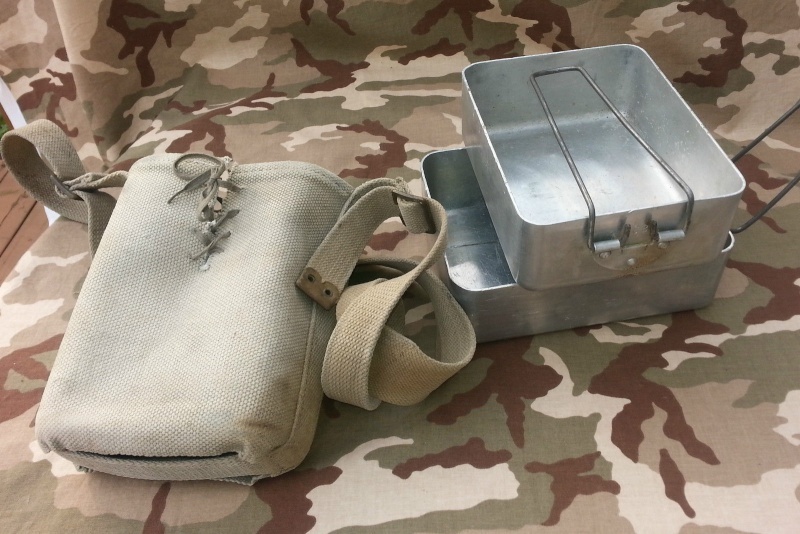 Hell, I have my Grampa's canteen which has an Indian manufacture carrier. Come on! 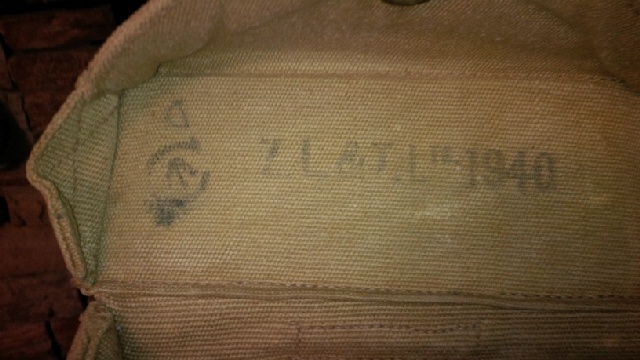 Everyone knows that Canadians only wore Canadian manufactured clothing and equipment during WWII.... Every piece has to have the same manufacturer and all the dates have to match. 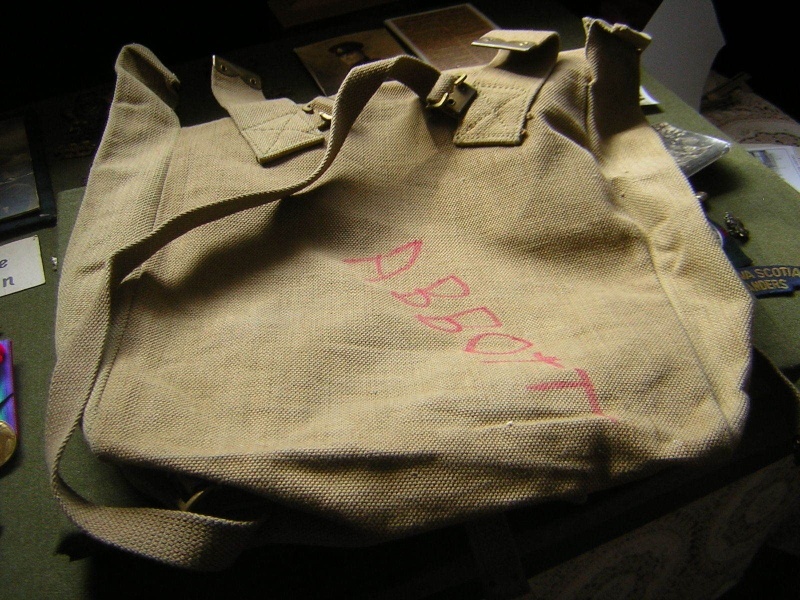 How else was kit issued from QM? What kind of Parkas are those 2 guys wearing?? 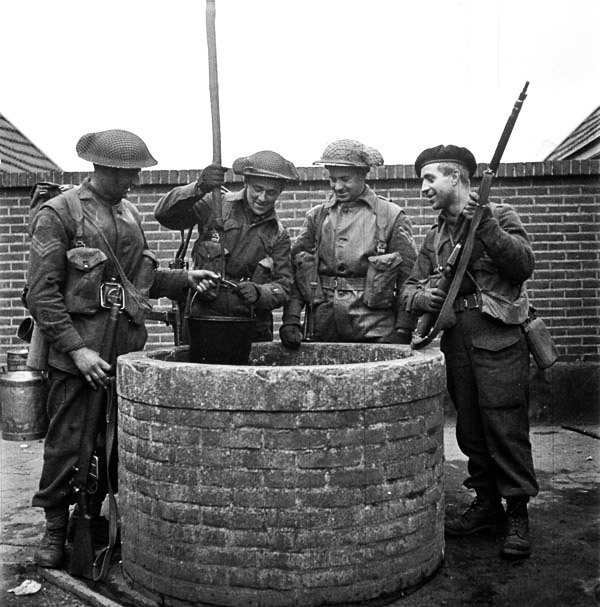 LSR, is there something in that first photo that indicates that the leather jerkins are of British manufacture? Is it the light color of the leather? You can not tell by the color,because British jerkins were made in a big variety of leather shades. 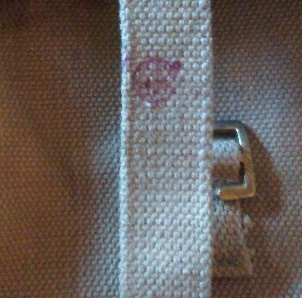 British jerkins have a sort of rectangular stitching around the button holes, which can be clearly seen by the 2nd right man. 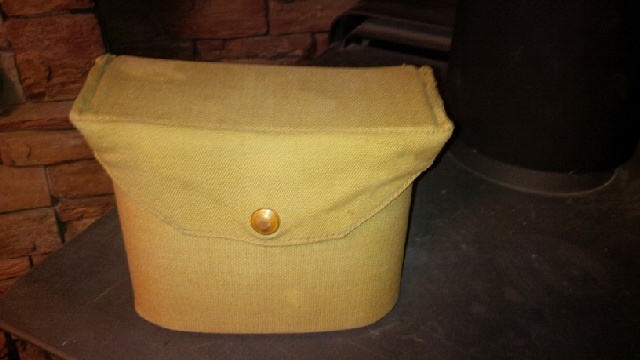 Canadian jerkins were horizontally sewn together on the upper part of the chest, this seam is lacking in the picture. Here are a few items that will add to the conversation. 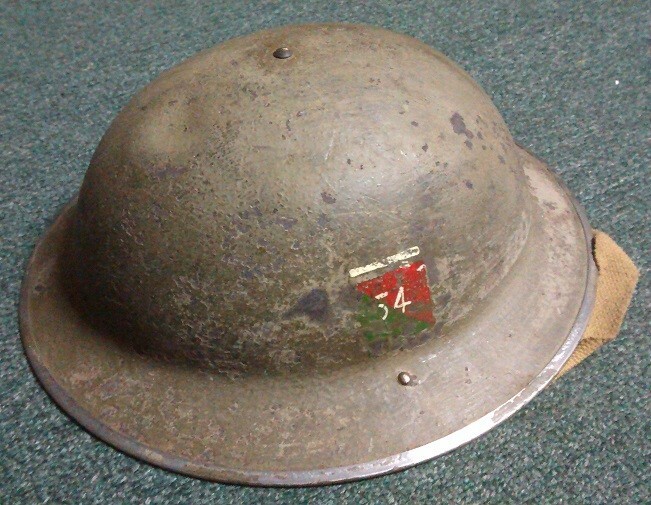 The helmet is British but used by a Canadian. 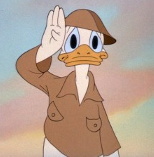 I believe the British helmet flash is diagonally opposite to this. 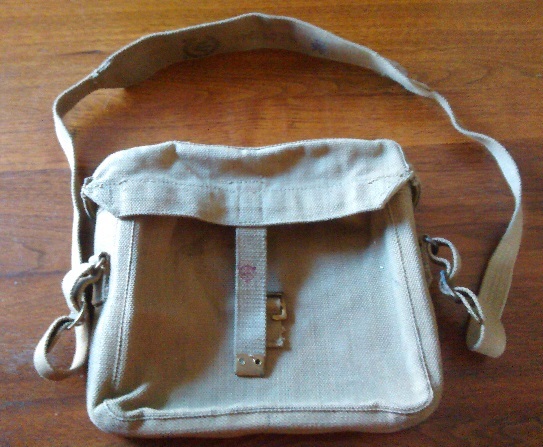 Very nice hele helmet als satchel signals bag. Nice to set the canadian acceptance stamp on the bag. 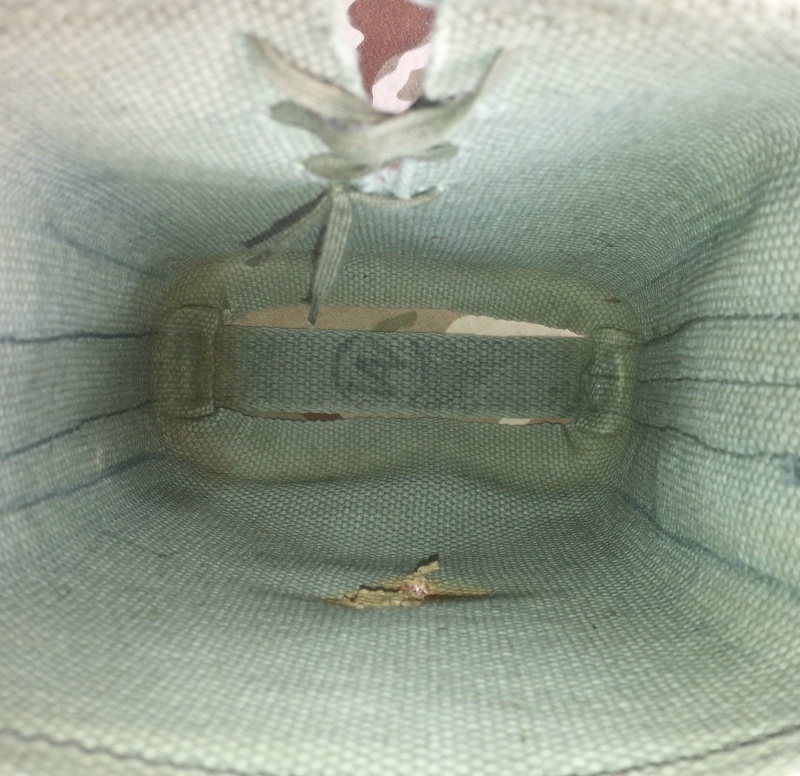 The bag posted in the first post look a lot like it eccept for the loop on the underside. LSR wrote: You can not tell by the color,because British jerkins were made in a big variety of leather shades. Thanks, those are some details that I never took note of before. All of the Canadian made jerkins that I've seen have been a very dark brown, almost black color which is why I wondered if it was the color. 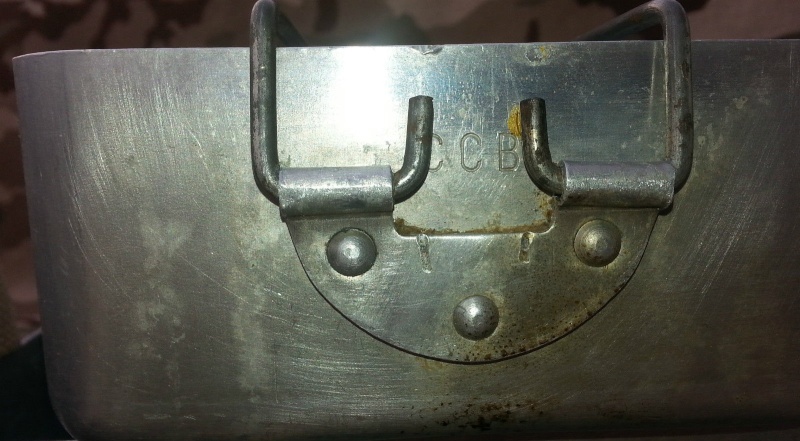 I have had a Canadian manufactured bino case that was marked with C Arrow, then DD (Aussie) then U arrow (South Africa) and it was in mint shape never issued. The Aussie DD is very faint. Thanks for the pics mate. That is a nice bino case! To be honest I don't think that is an Aussie stamp though and it doesn't resemble any stamped D I have seen before, It looks more like it is drawn on or possibly a partial C^ stamp. 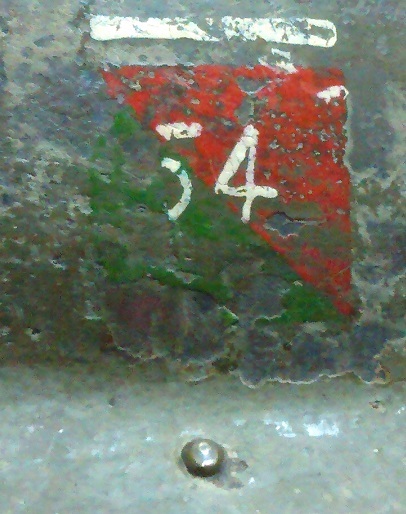 In 20 years of collecting Aussie gear I have never seen a Canadian or Brit made piece of Patt 37 restamped D^D. And as far as I know we didn't end up with any 1st pattern cases from Canada all the ones I see here used and unissued are 1942-43 dated 2nd pattern. Mike - Thanks for posting pics of the case, it's very unique! Luke - Thanks for the info on the Canadian bino cases in Australia (It's very useful for an impression I want to put together for the Empire Page later on)! I wonder if the buckle-less bino case that was shown in the Australian P'37 fitting instructions was Canadian or English (the set seems like it has elements of both). By the way, did the Australians get any of the smaller frame Canadian holsters or were they mostly the larger frame type? Yeah we did get some of the small frame holsters but in what quantities I am not sure. I have only ever seen one that was actually named to an Aussie, they are pretty scarce over here, almost all of the Canadian holsters you encounter here are the large frame type. 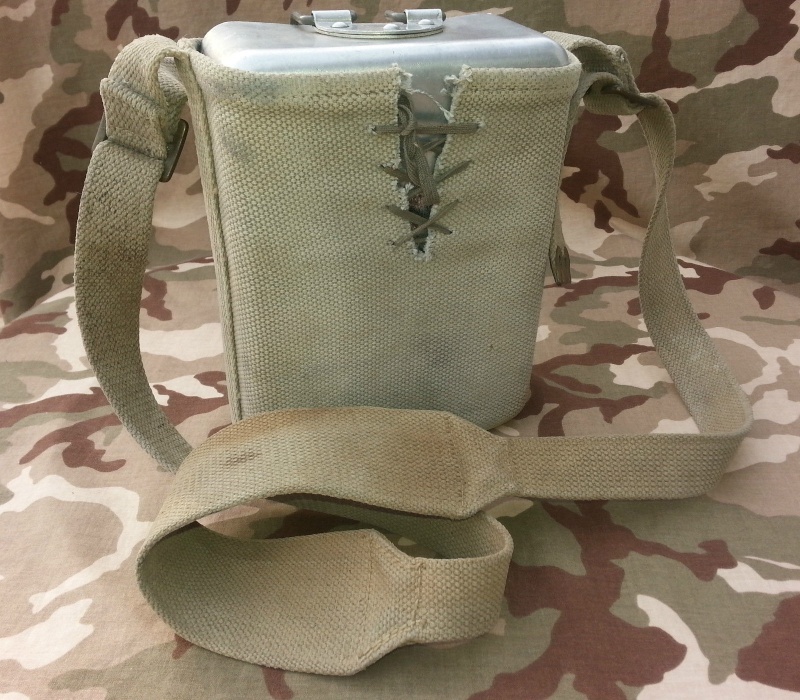 Not sure about the bino case in the 37 manual, again they are quite scarce. I have seen them over here but no named examples, I guess it is possible we did get some though, but I can't say for sure. 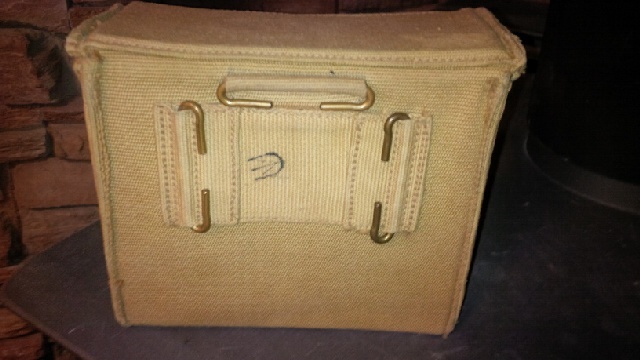 I know there were 1st type British made cases without the buckles issued early in North Africa. 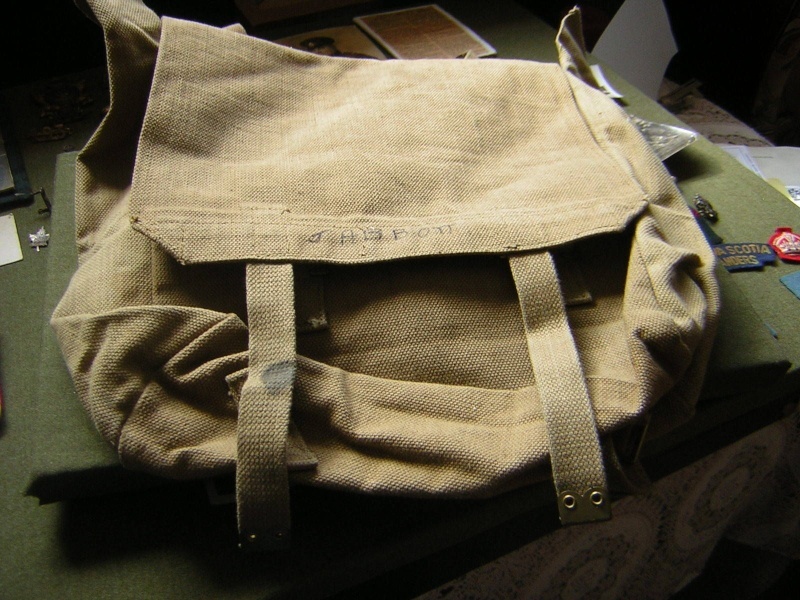 I saw this British-made large pack on eBay recently in Nova Scotia. Do you guys think the C-broad arrow is genuine or was it added recently? Interesting piece! Yes, those British manufactured sleeve water-bottle carriers were popular, I like the lace arrangement that was added to it.